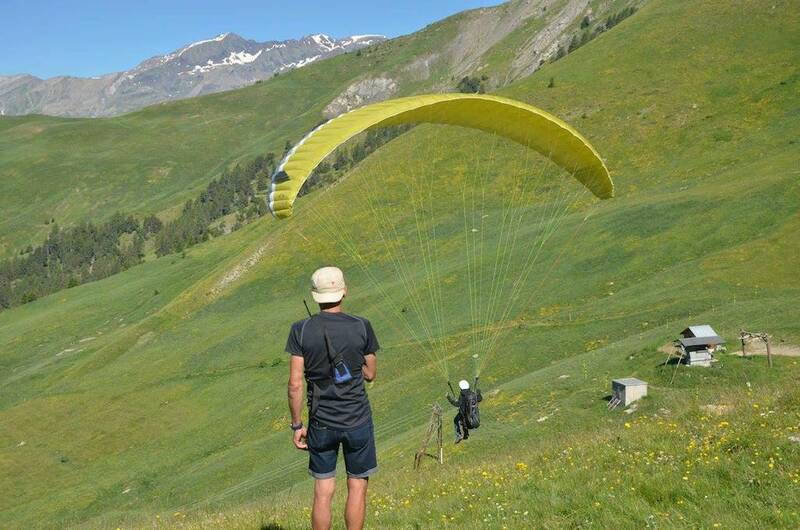 Paragliding is not the same as parachuting where you jump out of a plane and then release your parachute. 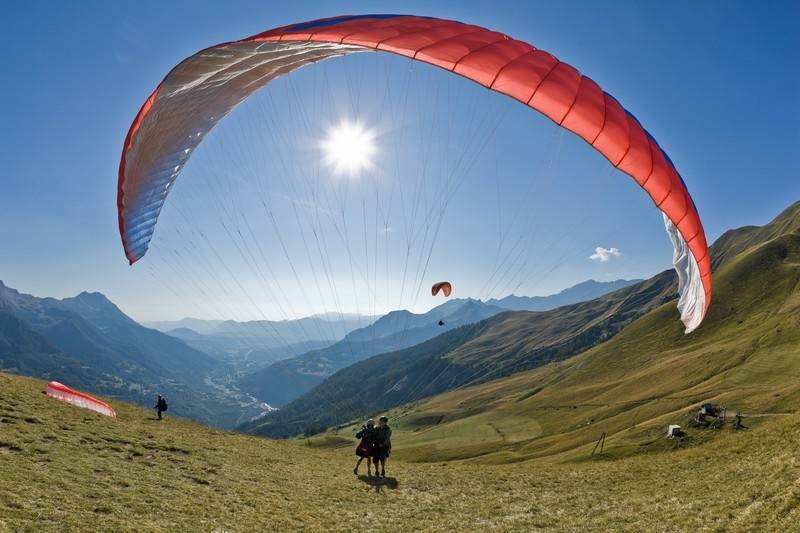 For paragliding, you start off at a high point - the top of a mountian for example, and lay out your parachute behind you on the ground. 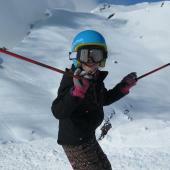 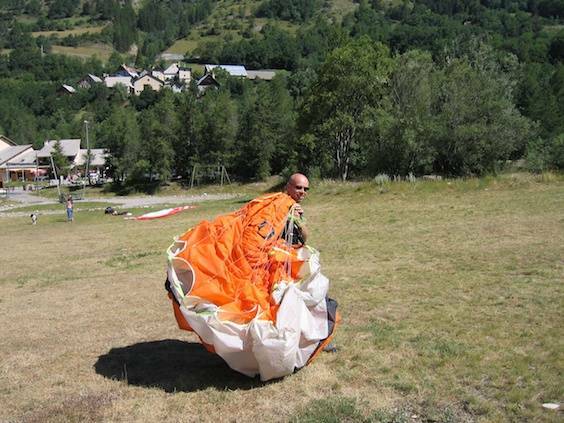 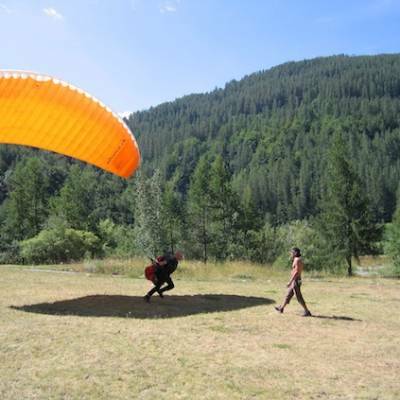 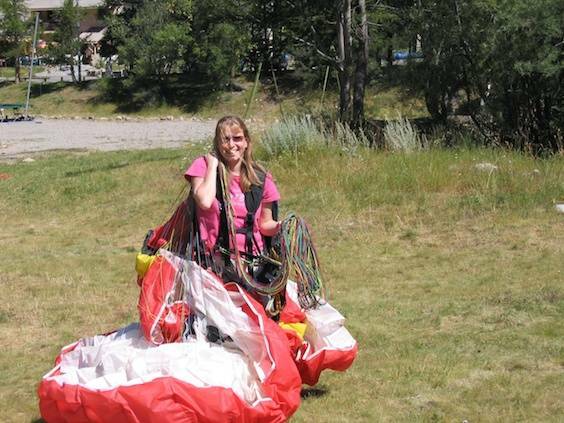 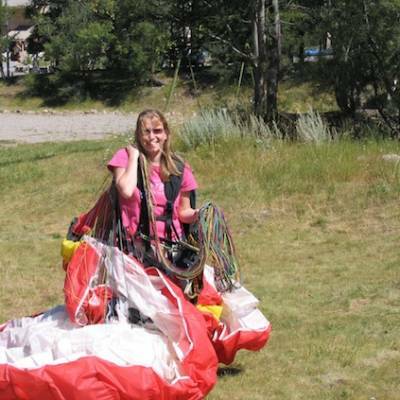 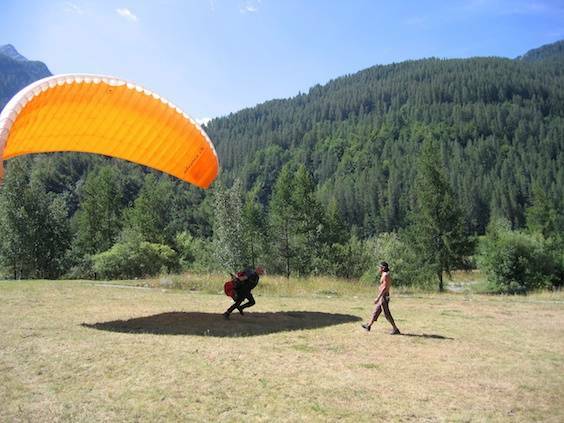 Once you are sure it is all ready and safe to go, you literally run off the mountain pulling the parachute behind you. 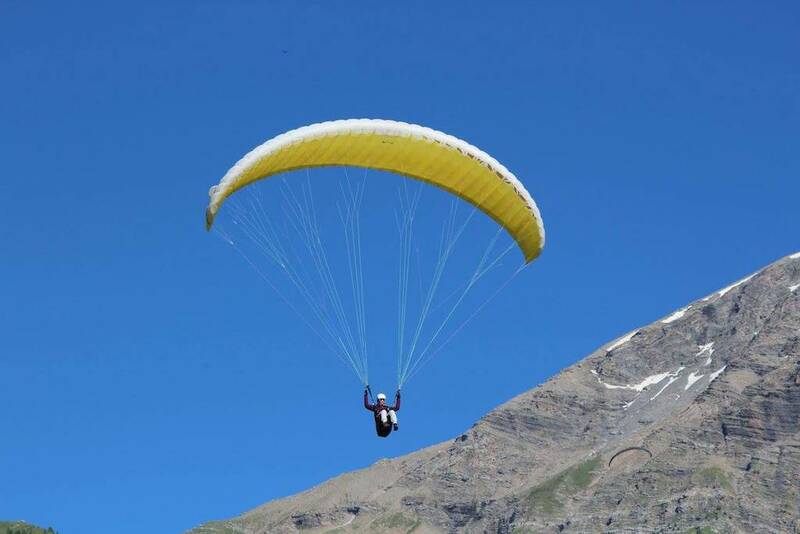 As you move forwards the air fills the parachute which normally coincides with you running out of land and whoohoo - you are suddenly flying in the air! 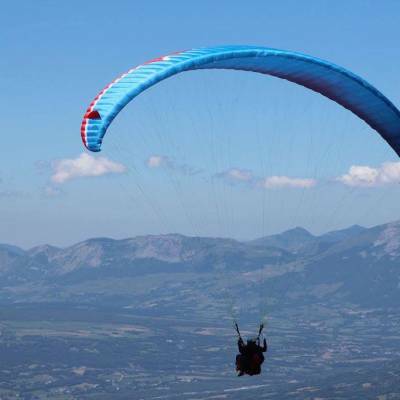 You then use the air currents and thermals (rising air) to fly up and down. 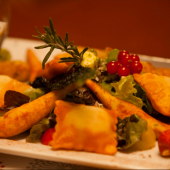 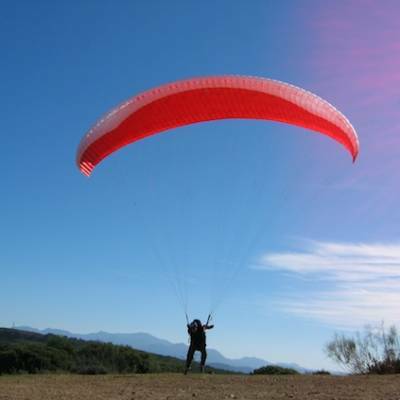 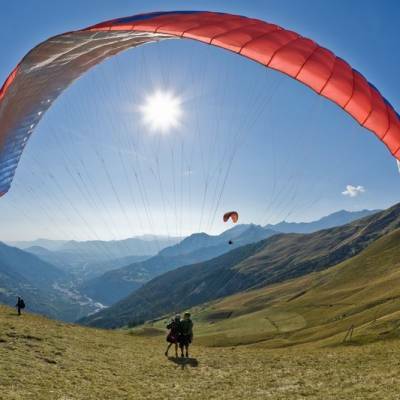 Experienced paragliders can fly for 100ds of km without having to touch the ground! 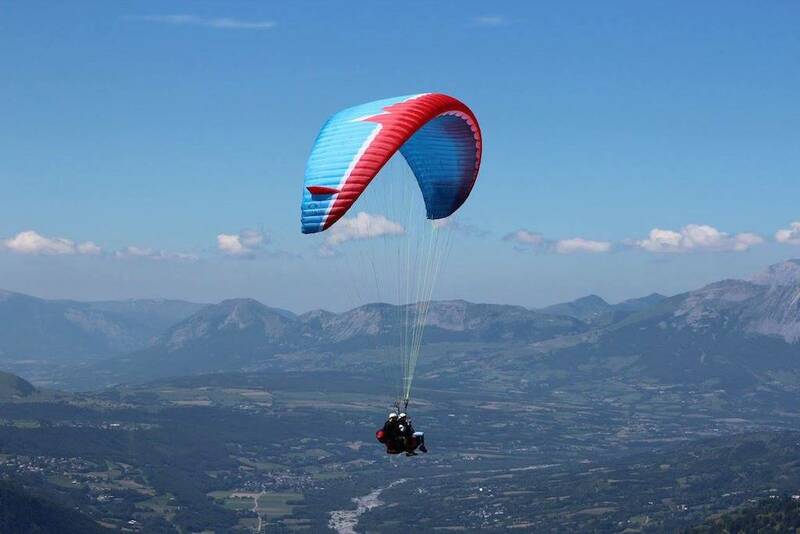 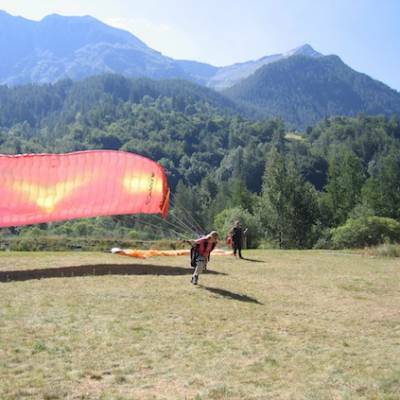 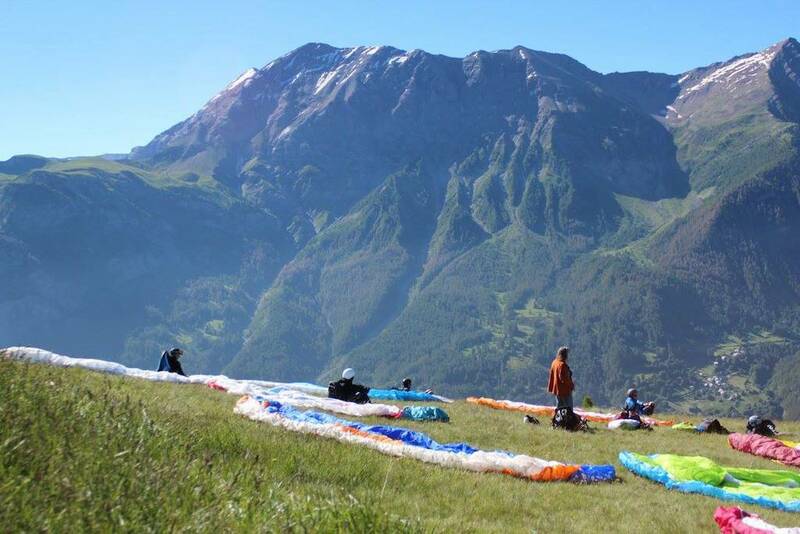 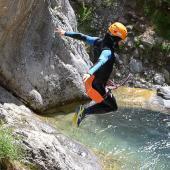 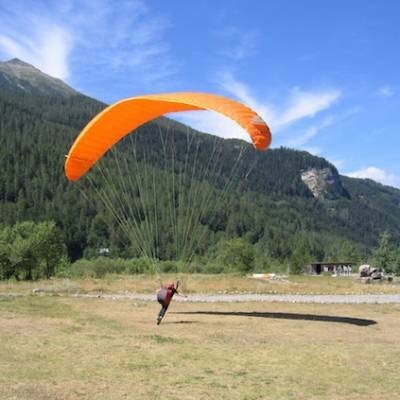 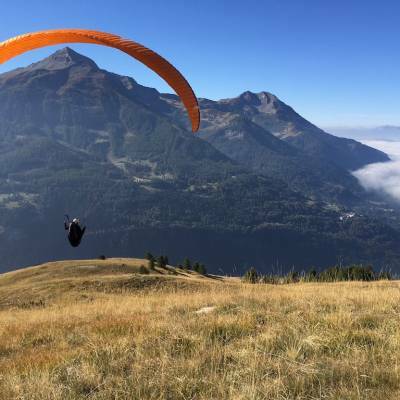 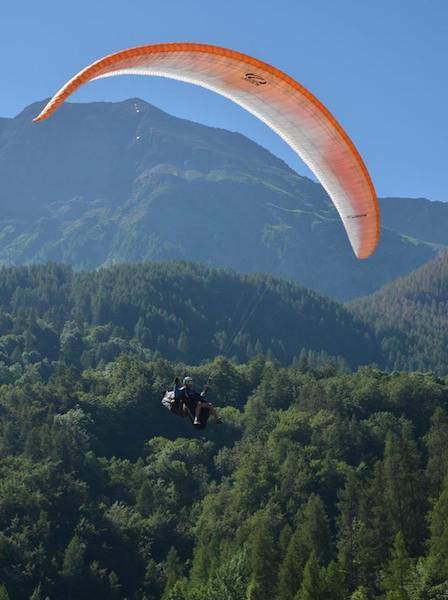 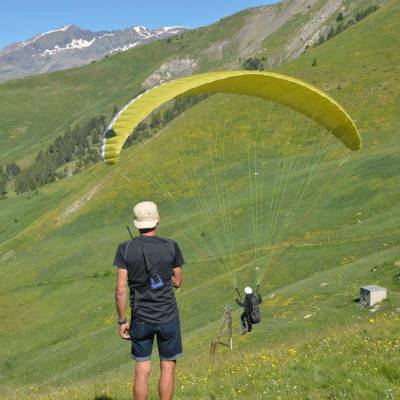 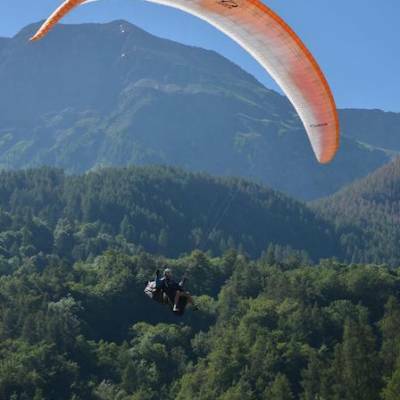 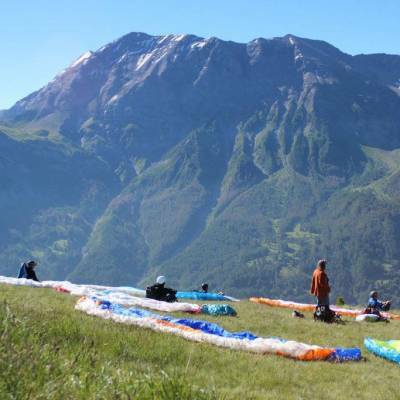 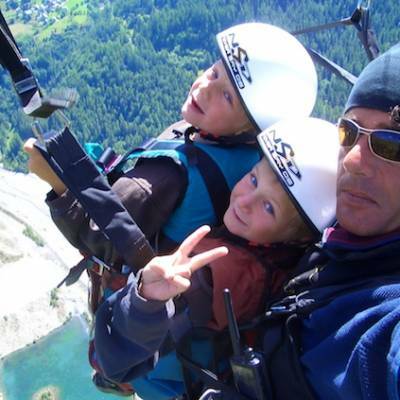 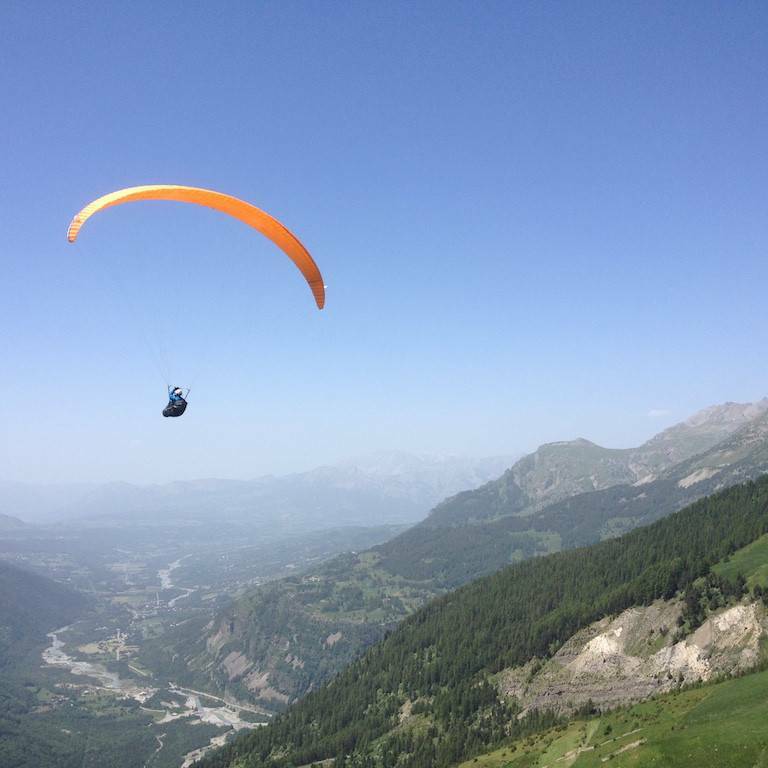 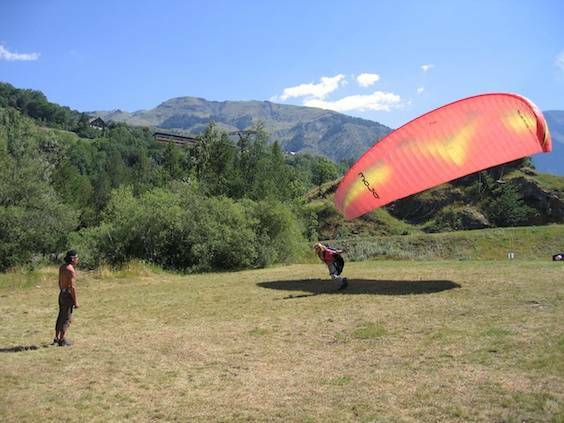 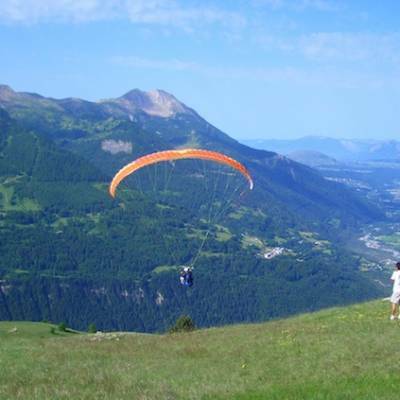 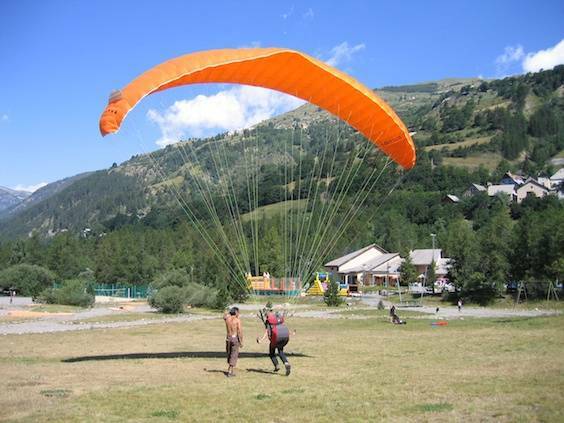 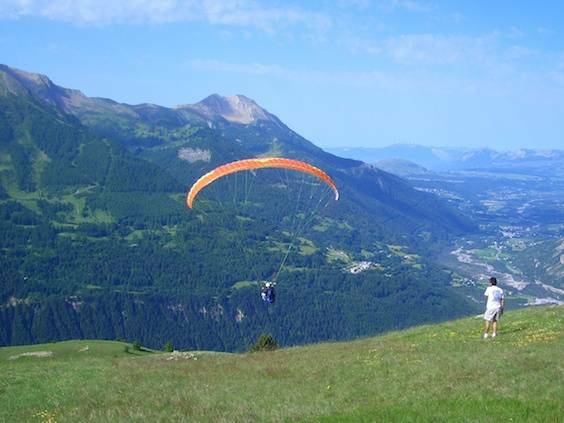 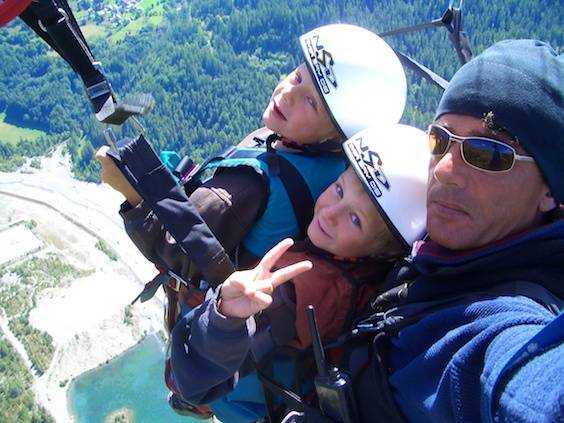 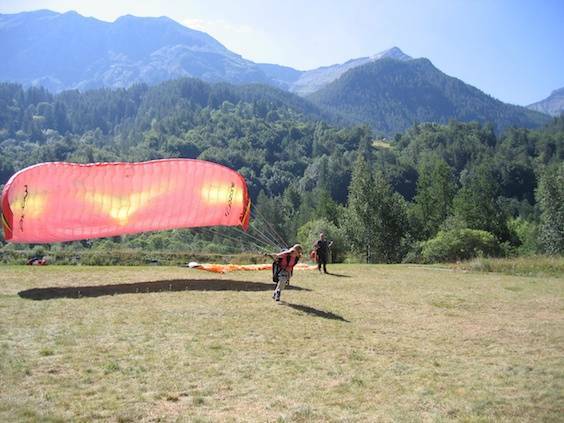 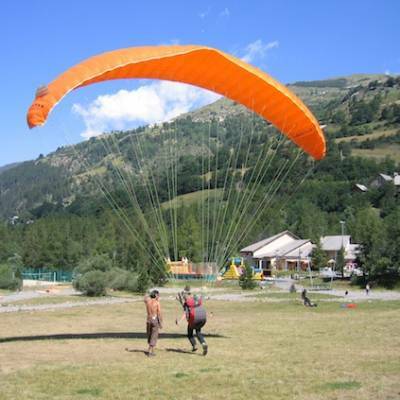 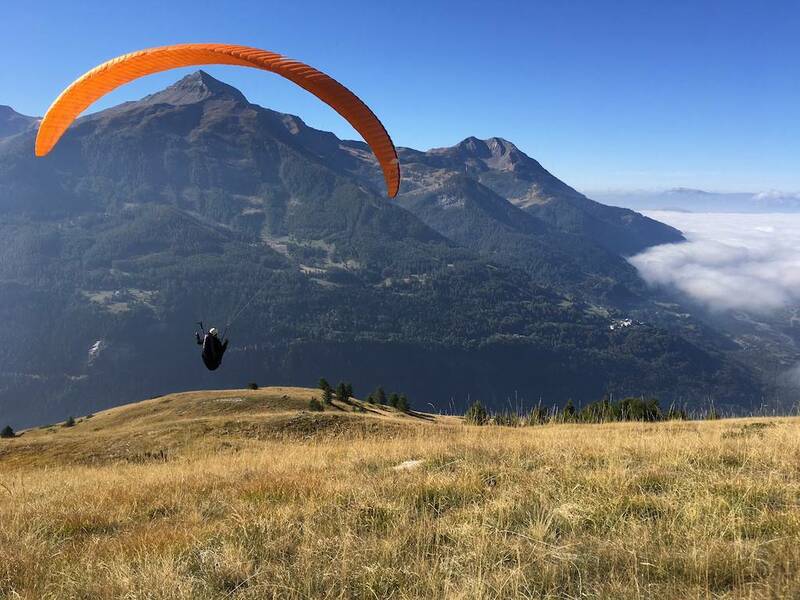 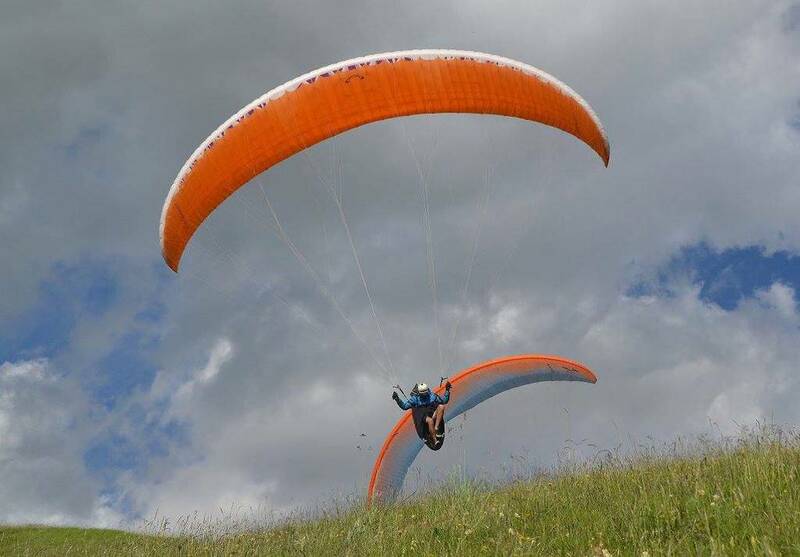 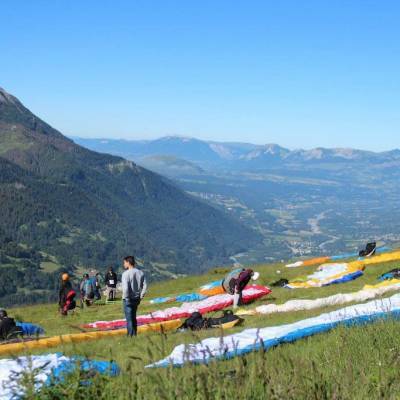 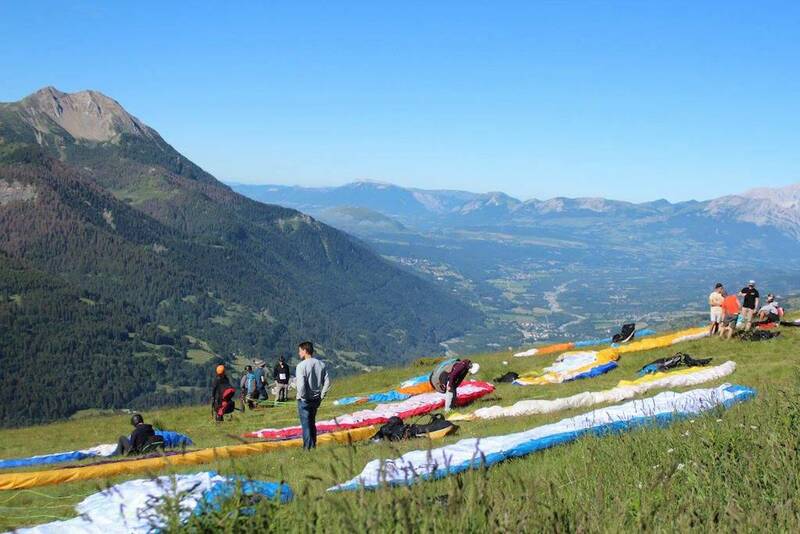 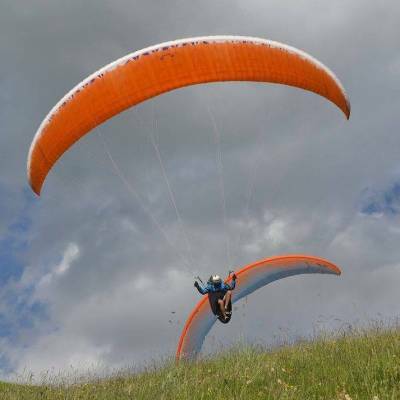 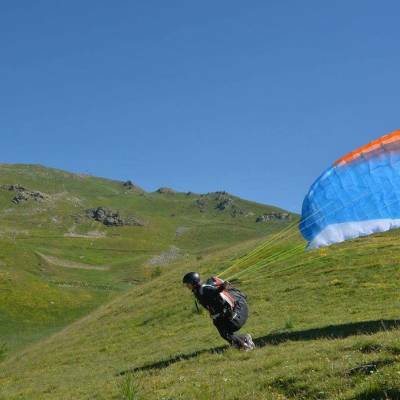 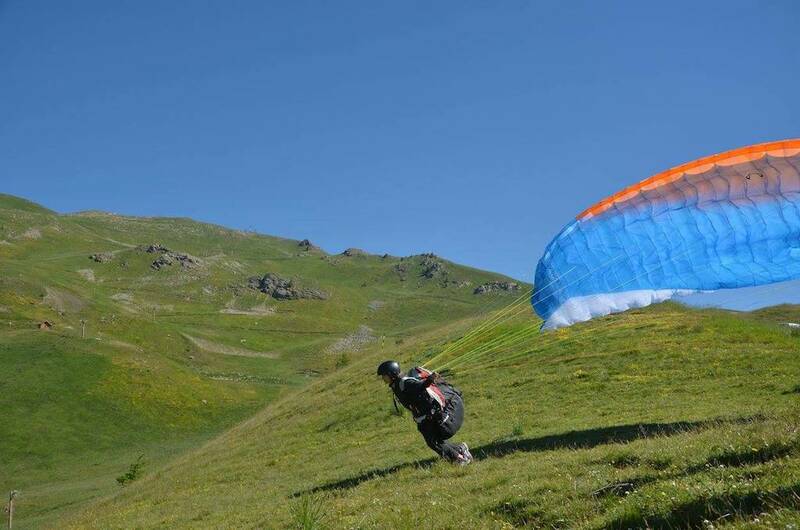 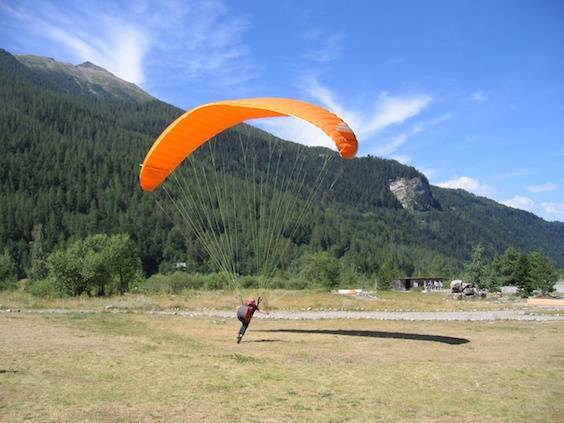 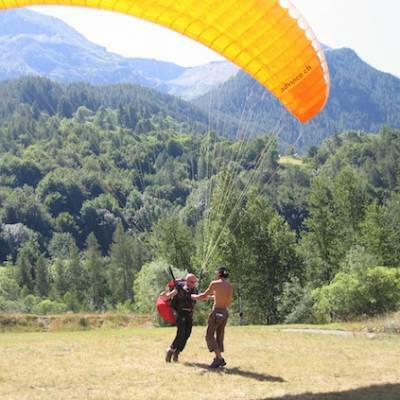 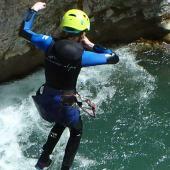 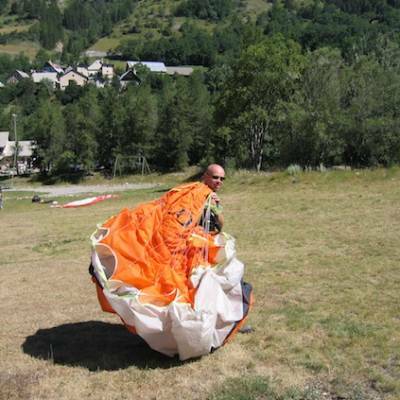 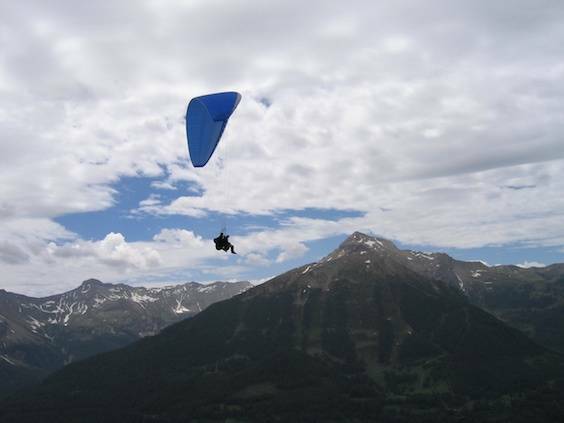 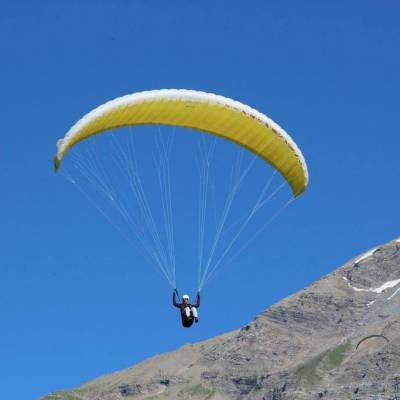 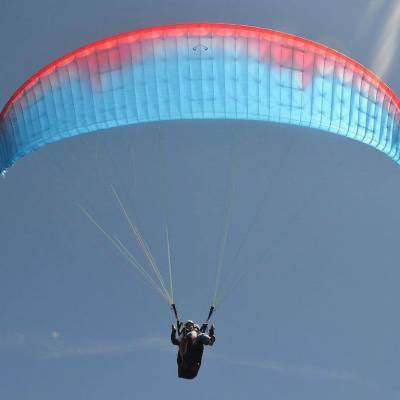 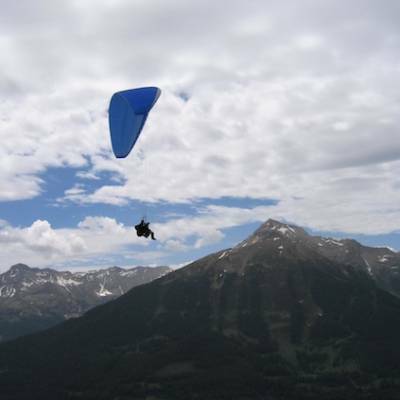 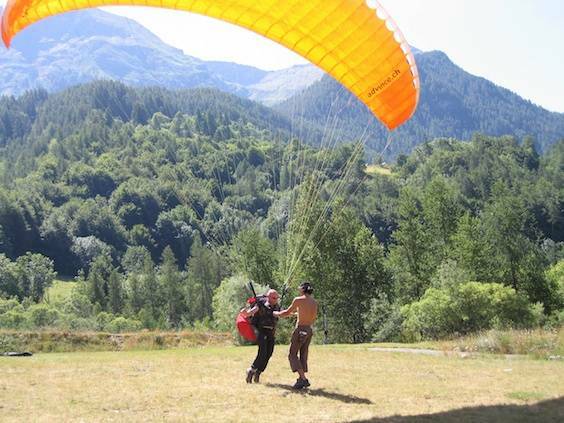 If you are looking for paragliding holidays in France, the Southern French Alps, with it's excellent weather conditions is a good place to start. 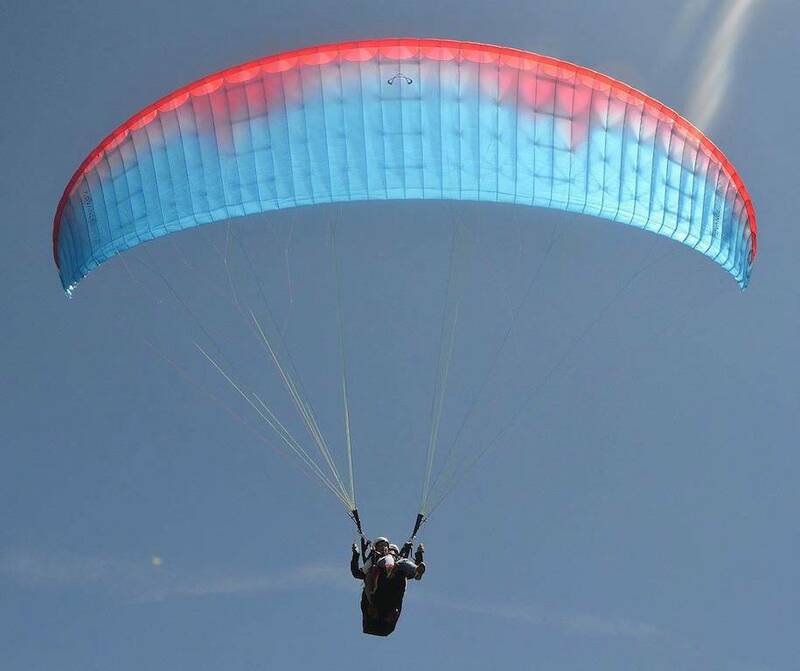 To actually fly yourself requires a thorough knowledge and understanding of the effects of the air currents, how thermals work and of course how to technically control and manage these to your benefit with the parachute. 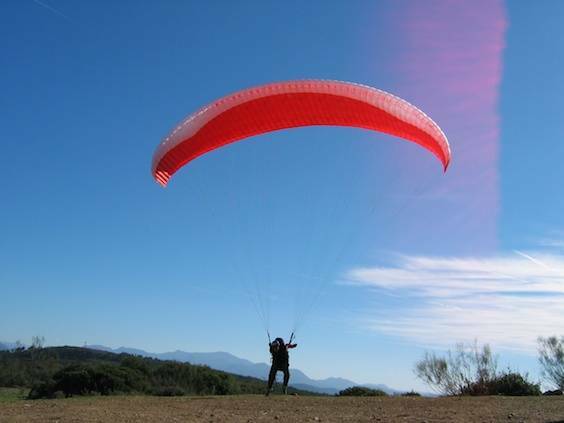 Choosing and navigating to a safe landing spot and controlling your speed so that you can land without hurting yourself is extremely important and requires instruction and learning! 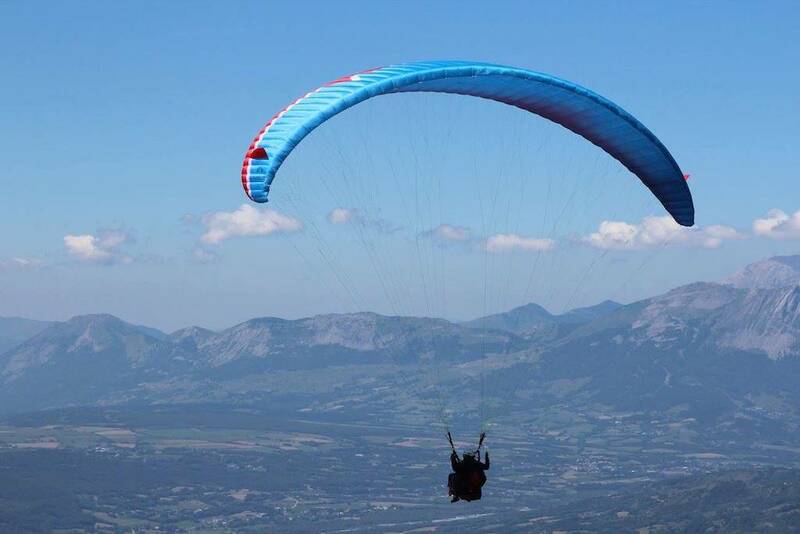 It is possible to learn this over a week and most people manage to fly independently (with radio support) after 3 days. 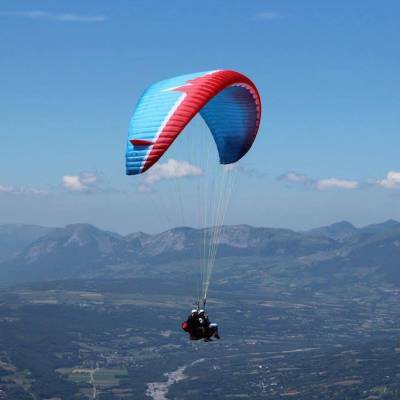 However, if you just want to have a go without investing in a full course, there are a range of tandem paragliding flights available. 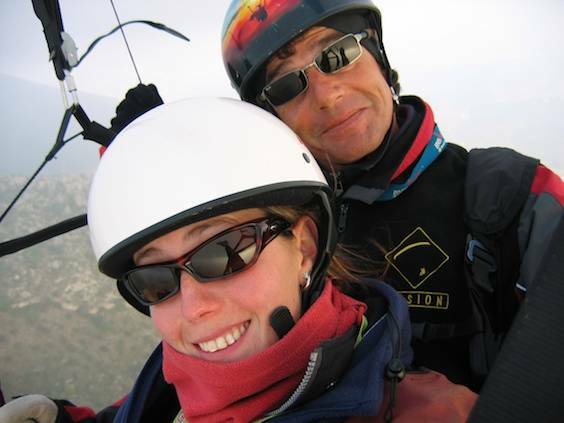 Tandem flights are where you are attached to an experienced instructor who flies and lands the parachute for you so you can concentrate on enjoying the experience in total safety! 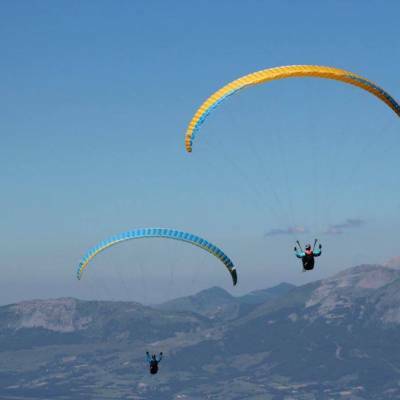 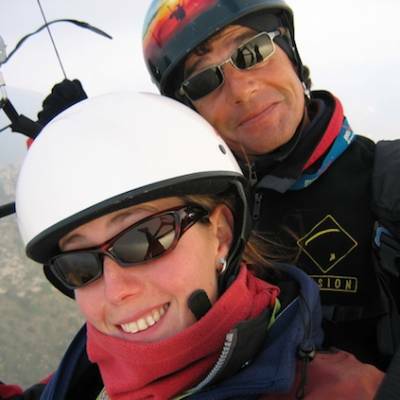 A tandem flight lasts approximately 15 minutes and is possible in summer and winter. It is also possible to extend your flight time to 1 hour for a relaxed fliy over the Alps admiring the scenery - much better than looking out of the window of a plane! 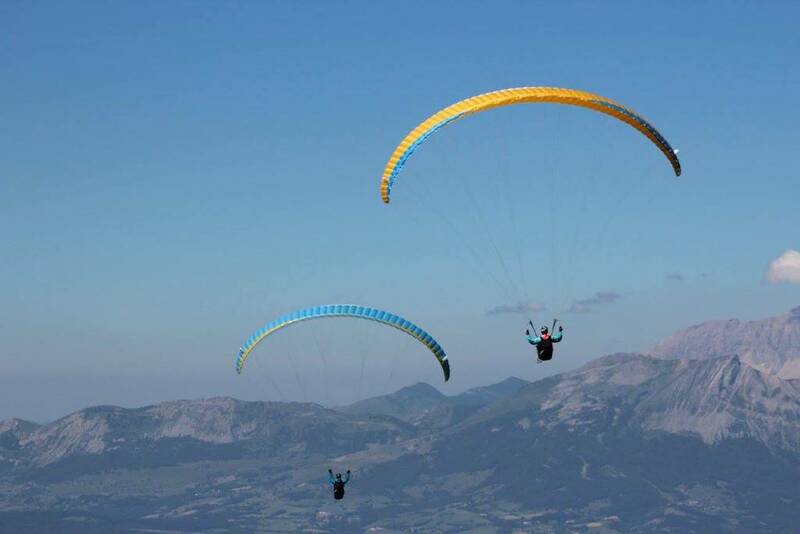 For adrenalin thrill seekers you can also go for a 'sensation' flight where your instructor will do figures and manoeuvres in the air that will really get your adrenaline going!